On May 30 of this year, many thousands more will gather at Arlington National Cemetery as flags are placed on more than 400,000 graves in remembrance of those who have died in the service of their country. In April, veterans placed a flag at each white cross lining the grass at Dixie Center St. George, as cadets from Air Force junior ROTC were on hand to assist during a memorial at the Vietnam Veterans of America Convention. 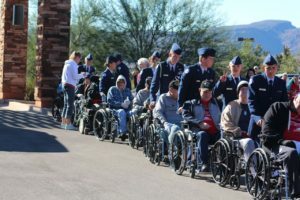 The Dixie Wings Air Force junior ROTC program, now in its 10th year, serves cadets in Washington County School District’s high schools and middle schools, including Tuacahn High School. The objectives of the program are to educate and train high school cadets in different areas, including what it means to be an American citizen and the importance of community service. It inspires patriotism, self-discipline and leadership. “Ultimately we strive to make better citizens,” retired Col. Glenn R. Whicker, who oversees the junior ROTC program, said. Cadets are heavily involved in community service and participate at many civic and charity events throughout the year. Justin Lewis entered the program as a freshman and recently graduated. He said the junior ROTC program changed his life. Learning to work as a team was a very important aspect of the program, Lewis said. He also learned to never give up, regardless of the difficulties he faced. These lessons didn’t come right away. They come over the course of time and through bonding with the instructors. Lewis wanted to be a pilot since he was 3 years old, or at least as long as he can remember, he said. That fascination with flight continued throughout the years. Then, in 2012, Lewis attended a demonstration by the United States Navy Blue Angels and knew he wanted to fly F-18 fighter jets, he said. At that moment his course was set, Lewis said, with a clear path leading directly to his goal of flying jets – he enlisted in the United States Navy. “It’s the only branch of the military that flies the F-18s,” he said. 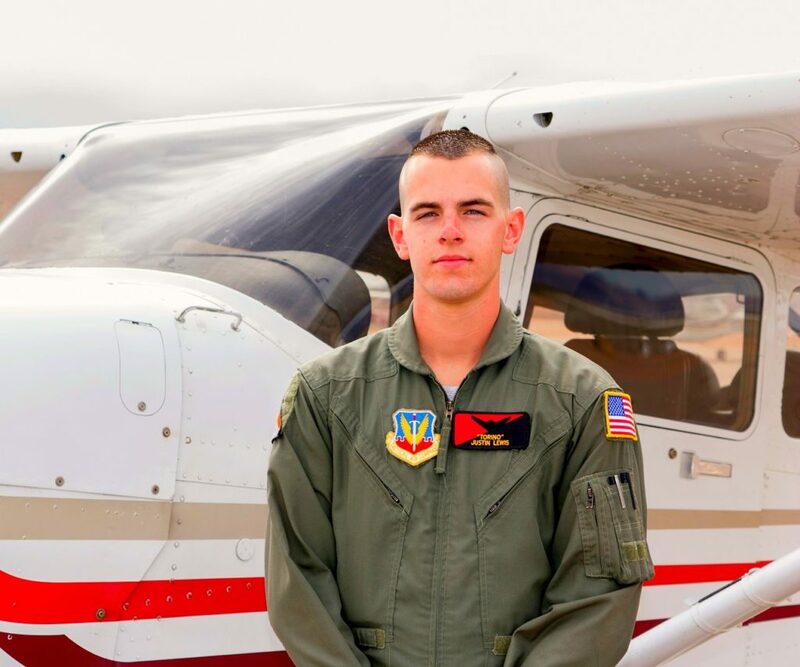 Lewis took pilot ground school courses during his junior year in high school and completed flight training the following year, earning his private pilot’s license before graduation. All of his training was received compliments of the junior ROTC program, Lewis said, adding that the only thing he paid for was airtime, but everything else was provided. Out of 897 junior ROTC programs worldwide, only 10 percent of those units include a flight program. One is right here in Washington County, providing pilot ground school courses and flight training with Whicker. The junior ROTC program has grown to include over 200 students enrolled every year. Students are bused in from all the local high schools, and the program has been recognized as one of the most successful in the country, Whicker said. 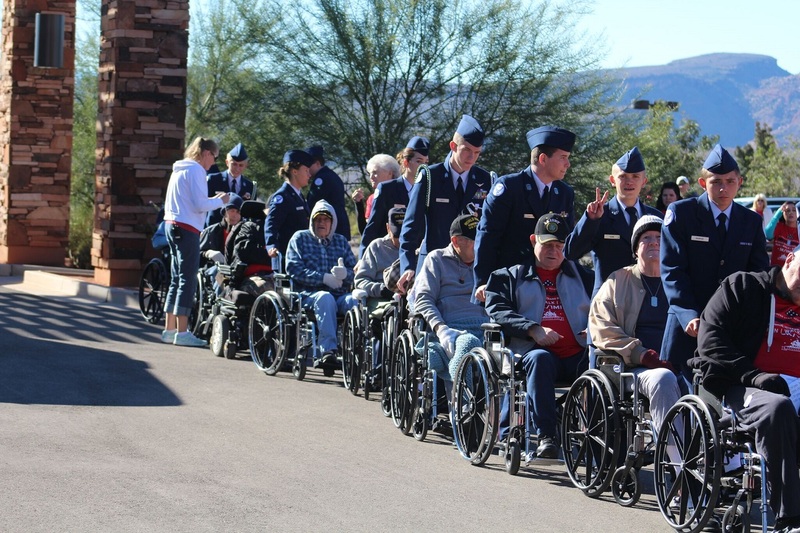 Cadets are not required to join any branch of the military to participate in the program. 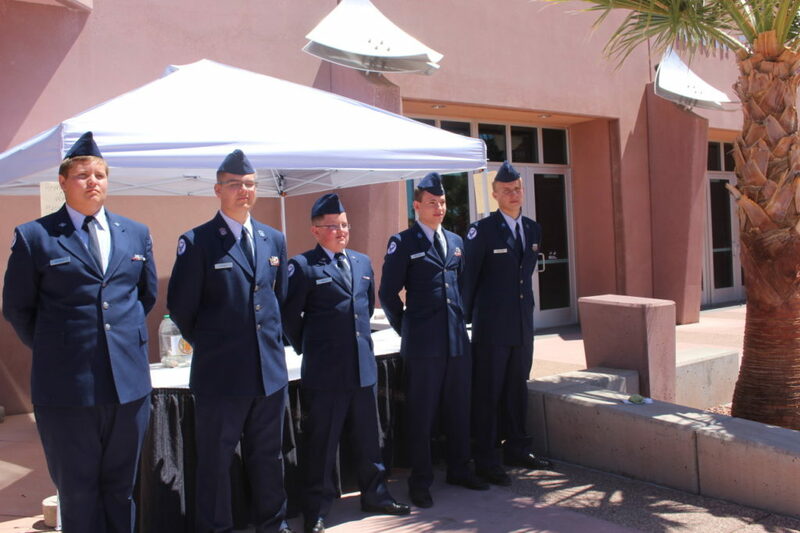 Those who do go on to a branch of the armed forces, often get a boost from the junior ROTC service experience as well as the science and developmental classes. Devin Hale, another four-year graduate of the program, learned to take responsibility for his actions and also the importance of dedication and leadership. The initial learning comes through classroom instruction, Hale said. What is learned in the classroom is then utilized during activities, events and different competitions. So it’s not just book learning, it is taken to the next level and is integrated into changes that can be measured. Hale came into the program very introverted, he said, and had difficulty engaging with people he didn’t know. That all changed over the course of four years, starting early in his freshman year. Through the process Hale learned that he had choices, and to check all of his options before making a decision, he said. He learned to lead himself to what he wanted while, at the same time, leading others to what they wanted. 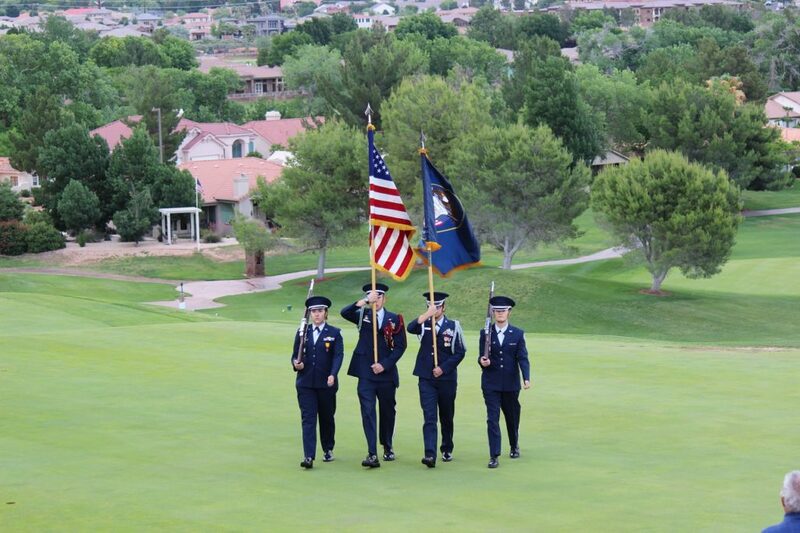 This has been a remarkable year for the program, highlighted by the procession of 44 cadet awards or scholarships on May 7, in addition to presenting varsity letters to both the color guard and drill team. 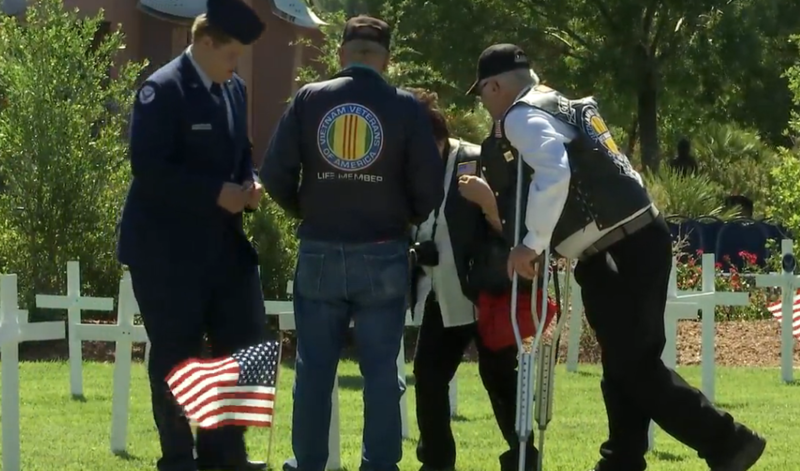 The awards were presented by military veterans from different branches of service. The unit issued additional honors that included a “Special Veteran Award” to Vietnam War veteran Danny Greathouse, president of the Vietnam Veterans of America Chapter 961. 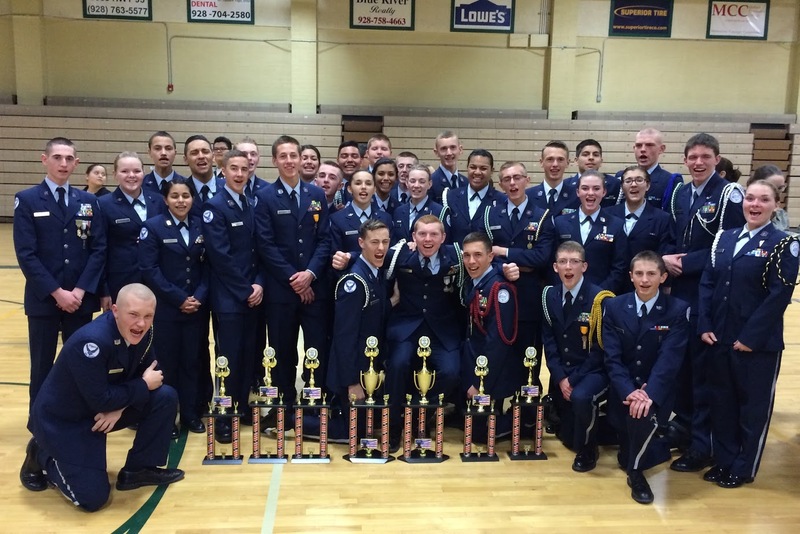 The highlight of the year came when the program received the “Distinguished Unit with Merit Award,” the highest organizational award an Air Force junior ROTC unit can receive for exceeding standards in areas including community service, uniformity and discipline, and unit growth and command structure, according to the Department of the Air Force, Air Education and Training Command. Leadership is a decision, and building a leader requires an enormous investment of time and resources. It takes a passionate team of dedicated instructors who have made a decision to instill leadership and civic responsibility into those placed under their direction. 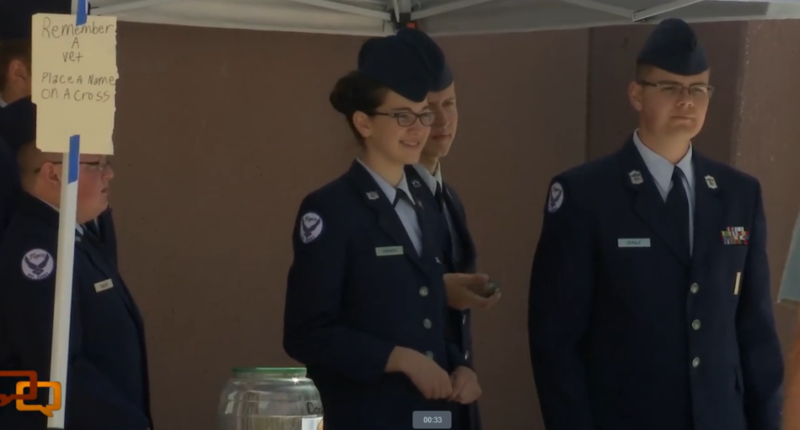 The Air Force junior ROTC program creates leaders – one cadet at a time. 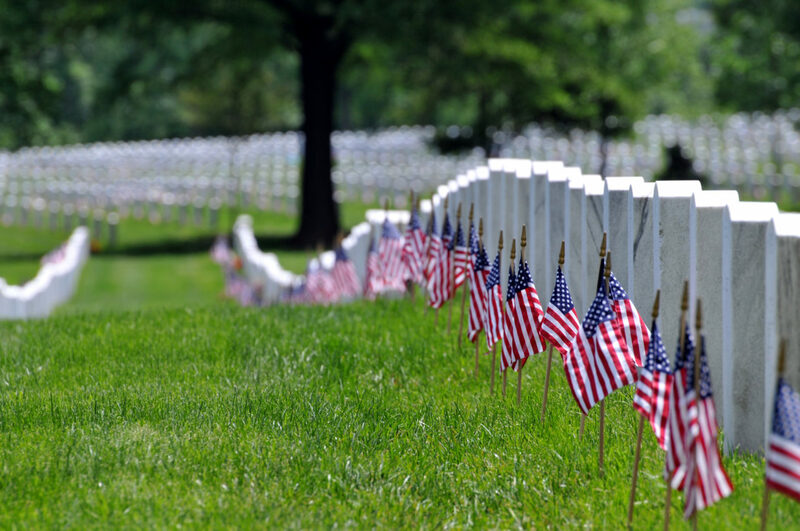 Arlington National Cemetery is the final resting place for many of the nation’s leaders, and a flag has been placed at each grave in memory of their service this Memorial Day.